Looking at this bracelet brings back a lot of memories. This is the bracelet I gave to hubby during our first meeting. It's a welcome/friendship bracelet. Simple yet very meaningful. 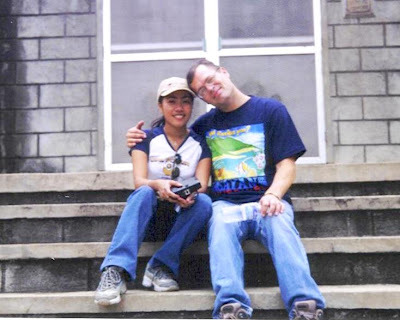 Hubby and I met as friends. So in short, there's no strings attached. Honestly, I don't even want to meet him in the beginning. I guess I was not ready at that time, but destiny will always find a way. 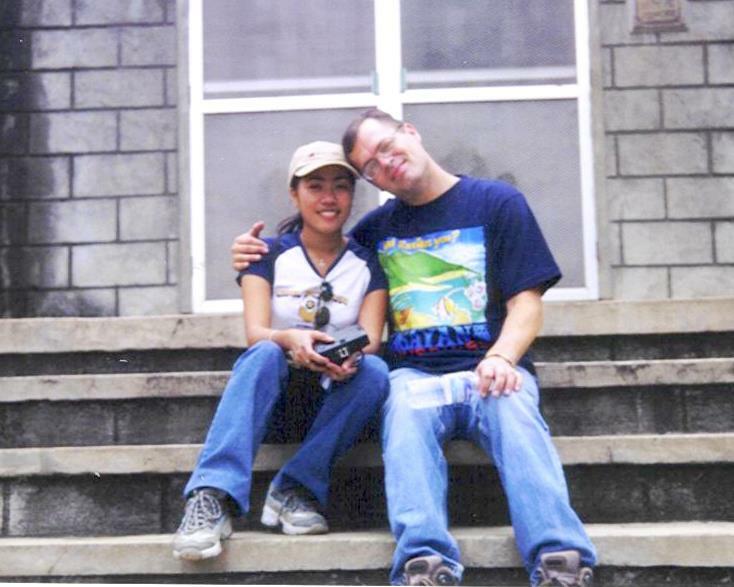 We met on August 19, 2004 in Cagayan de Oro, Philippines. A few days after getting know each other, we found out that we're in love. Ayay! You can call it "instant love affair" not instant noodles...lol! I got my first kiss on that day. I was totally shy because I've never kissed a guy before....lol! nyahaha, ang face kay murag gisugo sa inahan ug palit ug asin, nya nasangit man sa kano, ang niluto sa inahan, tab-ang. pag-uli pa sa gisugo, nabunalan...hehehe cute!! awww... so sweet,, ahihi. maimagine nako imung nawong hahaha .... worth it man .. hehehe..
Sus si kat,, nagtaksi sa kanto unya giminyuan nadayon sa kano. hahaha... ako tua sa teachers blog..lol. Awwww kinilig ako hahahaha... Ang liit mo pa dito sis, what I mean bebot na bebot pa tingnan hehehe.. First kiss, ayay! wow first kiss hehehe. same lng pala tayo kami ni hubby sa october 2004...mine is up. aw ka-sweet. i like the friendship bracelet. innocent pa jud kau ka ato nga time sis ba. it's good that you started as friends..as the saying goes 'friendship is the beginning of love'...so you guys started it right. hahahahaha..natwa ako sa mga comment dito lalo na kay Mommt kat! haruy!!!!!!! so sweet!..parang la ka pang muwang sa mundo mommy dhemz! weeee. Late Visiting from Nostalgia! :) Have a nice day! Wow Dhemz, inosente pa ka sa picture hehehe. Ang cute! Old photos bring back really good memories. What a nice story! Thanks to Cagayan de ORo:) ,thanks for sharing.